Ventas, Inc. (NYSE:VTR) (“Ventas” or the “Company”) said today it has named Robert F. Probst as Executive Vice President and Chief Financial Officer. Probst will assume his position in October and work with retiring Ventas CFO Richard A. Schweinhart through the transition. In his position, Probst will be a member of the Ventas executive leadership team, reporting to Chairman and Chief Executive Officer Debra A. Cafaro. Probst, who will be based in the Company’s Chicago headquarters office, will have responsibility for accounting, treasury, capital markets and information technology functions. 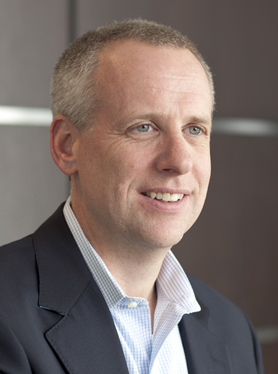 Probst, 46, served as senior vice president and chief financial officer for Beam Inc. from 2008 to 2014. He was a key player in establishing the former unit of Fortune Brands as a standalone publicly traded spirits company in 2011. Probst was Beam’s chief financial officer from its inception as an independent, S&P 500 company to its $16 billion sale to Suntory Holdings Limited earlier this year. During his tenure at Beam, Probst played a key role in the transformation of the company to a consistent outperformer with a clear growth strategy, focused execution, entrepreneurial culture and top talent. His responsibilities at Beam included finance, IT, strategy, M&A, and investor relations. From 2005 to 2008, Probst was vice president of finance, strategy and M&A for Baxter International Inc.’s $4 billion Medication Delivery business. Prior to that, he was with London-based Diageo plc, a global premium drinks business, from 1997 to 2005. In his last position as CFO – Global Supply Chain, he was responsible for financial operations for the end-to-end manufacturing value chain from procurement through distribution globally. Earlier in his career, he was a finance manager for The Pillsbury Company and a commercial lending officer with the Northern Trust Bank. Probst earned his B.A. with honors in Economics from Duke University in 1990, where he was a member of the 1986 NCAA national championship men’s soccer team. He received his M.B.A. with highest honors in Finance and Accounting from the University of Chicago Graduate School of Business in 1993. Probst serves on the boards of the Chicago Botanic Garden and Camp Kesem, as well as the advisory board of the Duke University Financial Economics program. Ventas, Inc., an S&P 500 company, is a leading real estate investment trust. Its diverse portfolio of more than 1,500 assets in the United States, Canada and the United Kingdom consists of seniors housing communities, medical office buildings, skilled nursing facilities, hospitals and other properties. Through its Lillibridge subsidiary, Ventas provides management, leasing, marketing, facility development and advisory services to highly rated hospitals and health systems throughout the United States. More information about Ventas and Lillibridge can be found at www.ventasreit.com and www.lillibridge.com.